Normally, my own posts are going to happen on Fridays, but I’m planning on taking this Friday off for the holiday (already getting the shakes at the idea of going off the grid! ), so I thought I would write something here and now. Besides, there’s something I want to talk to you about. A lot of people in the realm of Social Media are striving to be Batman or Superman or some other super hero of their choosing. And for awhile, I thought that maybe I should try to be, I don’t know, Wonder Woman or She-Ra. But you know what? Not everyone is meant to be the hero of the story. For every hero, there is a solid sidekick, a resourceful, reliable person (or animal, or a usually inanimate object). For every He-Man, there’s a Battle Cat. For every Frodo, there’s a Sam. For every Batman, there’s a Robin. I have seen what you need to do to be a Social Media superhero, and it just doesn’t mesh with my overall goals professionally or personally. That is not at all to say it’s a bad thing or that I would judge anyone going for broke. But me? I’d rather be Robin. I’d rather give you the resources you need so that you can go fight Social Media crime. I’d like to be the person who connects you with the person who can make your world grow. I’d like to shine the spotlight on you while you groove. I think there’s a lot of room in Social Media for Robins. I don’t think it’s a symbol of not trying your best. I don’t think it’s holding up a white flag. It really just means that I’m not worried about whether there’s ever a show or a franchise called Margie Clayman. I want to help make the YOU show. I want to be the Hooded Claw. Well said Margie. If I can’t be the Shadow, I’ll be Cato. That spirit embodies the best of Social Media. How much do I love this post? THIS much. 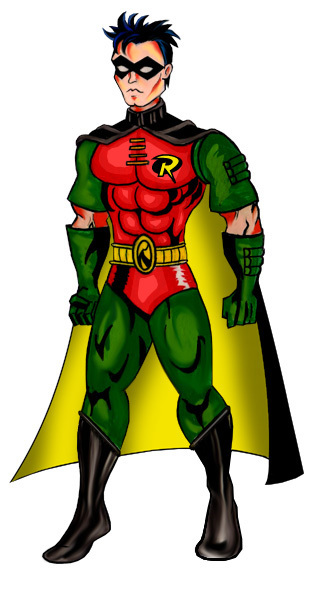 When I was a kid, I wanted to be Robin, not Batman. I was worried that I didn’t know enough criminology and gymnastics to be ready, in case Batman every came and got me. You have beautifully expressed the need to people to use their gifts in strong support of others. Go Teen Titans, go!